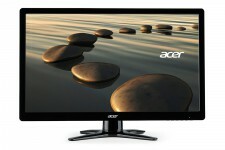 It’s time for an Acer G226HQL review. This is a pretty valuable monitor given the fact that it doesn’t come with any HDMI ports. Although it doesn’t use HDMI, it does use a DVI or a VGA hook up and it also comes with both a DVI and a VGA cable which is obviously important for this specific monitor. However, if you’d still want to use HDMI with this monitor, you still could. You’ll just have to pick up a HDMI to DVI cable, which is only about $7.